The word France shown in inverted commas. 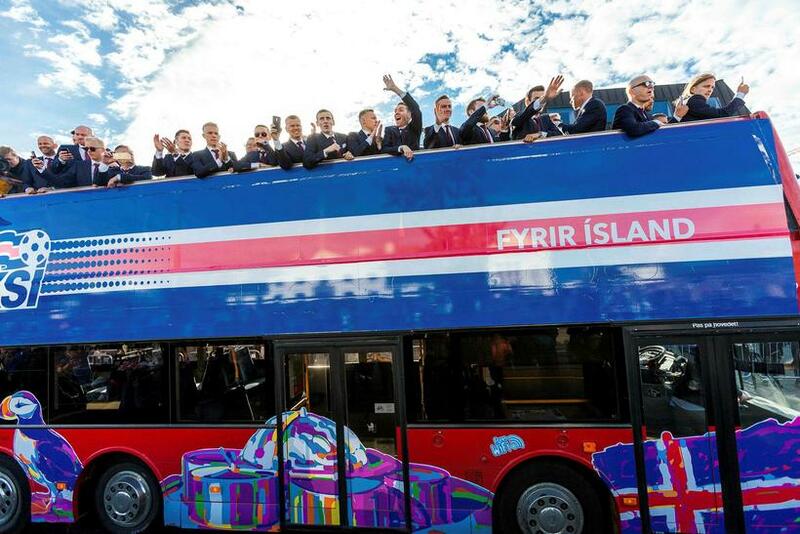 The Football Association of Iceland (KSÍ) has condemned the unauthorised use of a photograph of an Icelandic player on a race-related image published by a Danish far-right nationalist political party. The image shows Iceland captain Aron Einar Gunnarsson with the Iceland team alongside a picture of several members of the French team, with the caption “Share if you think ‘France’ should be playing in the African Nations Cup”. The image is a propaganda tool of the Party of the Danes, a far-right nationalist party which won less than 1% of votes in the 2013 municipal elections in Denmark. KSÍ has posted a statement on its website condemning the image, which openly suggests that the French team is somehow African and does not belong in Europe. Iceland was knocked out of Euro 2016 by France on Sunday. “Forces of division have no place in the football movement, and football authorities in Europe have fought hard against racism in the sport. This battle is far from over and KSÍ is committed to taking part in combating racism with all its might”. 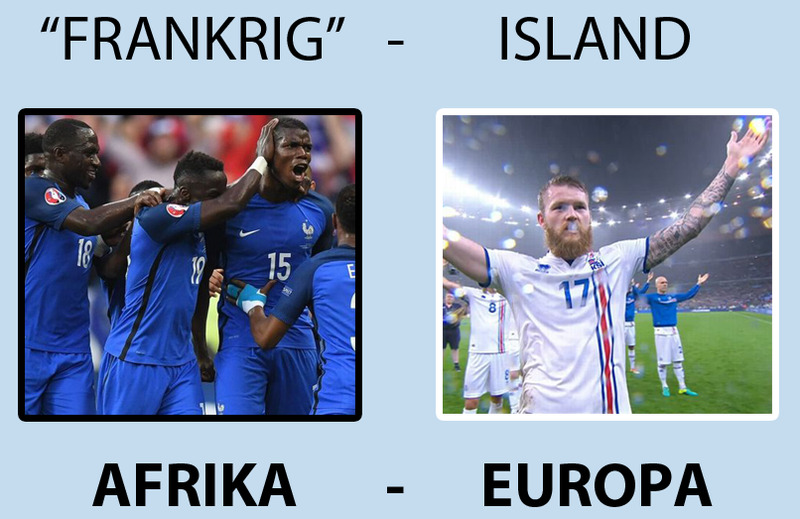 The Party of the Danes posted the controversial image on their Facebook page on Monday, the day after France knocked Iceland out of Euro 2016, with a message asking people to submit their e-mail address “if you also do not believe that Europe and Denmark should be transformed into an African backyard”. KSÍ has said that they will be requesting that the image be immediately taken down.